2016 reflections and and a some old wisdom for a new year! And let “structure” be the guiding light. There is always a way to handle the challenges peacefully and productively. Recently I’ve been working in a new rotation called “General Medicine”, I’ve noticed that the same principles of stucture being the key applies here too. I turn up to work and there often seems to be a mountainous list of tasks to do. To get through seeing all the patients, organise consultations, and organise ward rounds with consultants to formulate solid patient management plans. Then on the tricky days I’m also on call, which means that I have to answer the pager which could be emergency patients that are referred, or ones who would benefit from another subspeciality’s input, and ward consults from other hospital teams. It is the same when I am working in Emergency Medicine. I’ve learned how “structure” is essential to core business of an emergency physician who has to make some sense and bring order to evolving chaos. Here one strategy is going through the “board” (an electronic overview of all the patients in the department) and making sure there is a plan for each patient as well a strategy for staffing and supervision to handle the inevitible surge’s of patients (trauma’s, resucitations etc) that freqent the department. Now when it comes to “life” – how does one structure this project? Perhaps the life arena is the hardest one to manage because it is so dynamic and multiple factors involved. Also there are pressing needs that trump any planning such as “getting food into the body”, “doing shopping”, “having rest”, or “spending time with one’s partner” who is otherwise is constantly waiting around for a life, just washing, cooking and cleaning. Perhaps managing the needs and goals of close loved ones (both family and friends) is the most challenging variable of managing “Life”. We are not given much guidance on how to manage one’s life, or at least I wasn’t’, but what I’ve come to realise now, is that ironically doing less is the key to achieving more. This is easy to realise, but extremely hard to practice in a world where there seems to so many things that need to be done before we can sit in peace. After working busy shifts in the hospital it is very easy to feel both depleated and defeated. In recent months, and years, I have found that by giving it “your all” to countless patients and their families, and despite simultaneously trying to be the best support senior, junior and other staff and colleagues, one can still easily leave work feeling that there was more that you could have done. This is not only heart breaking, but it is counter productive, because it leaves one ill equipped to then to come home and pick up the pieces of the most important project of all “life”. As we head into the new year, at challenging time in my life when facing a fellowship exam is on the cards in addition to the usual mix of dream plans, responsibilities and goals – I take heart in reminding myself that “structure” is the key. I also look forward to the year ahead with a motto that I’ve always kept close to my heart – which is to give out what I would hope to get back, after all they say that “the universe is kind to the kindhearted”, and this has proved to be a personal truth that I am very, very grateful for. Best of luck for your new year! May all you move one step closer to your most heartfelt wishes, hopes and dreams. Last month I had the pleasure of talking with the UOW 2015 graduating medical at their “welcome to the real world” workshop lecture series. It was a real honour to be invited to speak about Emergency Medicine with this group of future doctors. 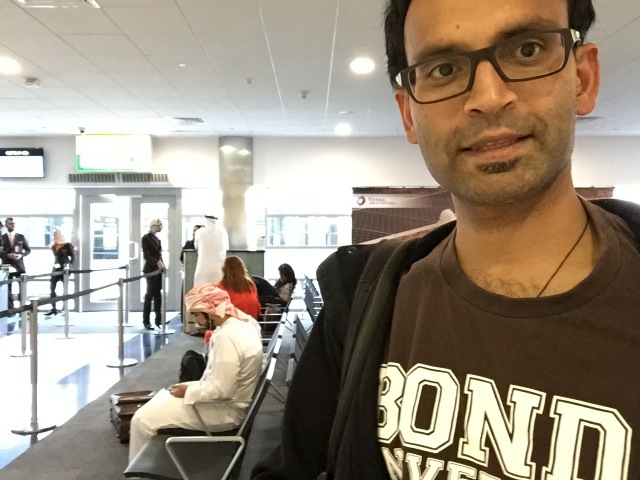 I decided to offer some reflections about my own diverse journey which has spanned several countries and a few different disciplines including surgery (which I embarked on many years ago), research (which led to a PhD that was complted this year) and emergency medicine (which I am currently in the process of completing). Some of the highlights of the talk for me was to be able to use a bit of simulation and creative to highlight through direct experience what some of the key elements of Emergency Medicine include. To this end I used a bit of shaking and laughter yoga, an audience surprise, and finally a short guided meditaiton to let the group exeprience the calm within the storm. I was lucky this was such a willing audience. The actual talk was a good chance to highlight the importance of knowing onself when chosing a medical speciality, as well as knowing what that speciality is about, and understanding what the job entails; both positives and negatives. For me the key reasons to chose a speciality is related to inspiration, and taking a path towards following an inner dream. Mentorship is key for this long journey, and I am every grateful to have had many great mentors along the way. The talk ended with a guitar peformance of a song I wrote whilst doing field work for my PhD titled Peaceful Revolution. It’s an interesting song about some of the wisdom I learned in the villages of rural Sri Lanka. Part of the song is about how there seems to be much more harmony between nature and human existing in the rural areas, and in the cities where I’ve spent most of my life it is easy to have so much in material wealth, but at the same time so easy to forget to touch the hearts of others. There are always so many people to thank for every talk I give. First and foremost I am grateful to my many wonderful mentors – without whom a talk of this nature would not be possible. Then there was the audience, not only for being a kind and generous audience, but also for participating with some of the off-the-beaten-track interactions that I had schemed into this particular talk. Thanks also to the new graduates;- Dr Hayley Dyke who helped me out with being an improptu back up guitarist for the performance, and of course to the lovely Dr Beatrice Dowsett, a member of the class and workshop organiser who invited me to speak. Bea is such amazing person, talented both within and outside the medical arena. I’ve had the pleasure of meeting her at the local hospital acting/film/drama forum created by Dr Tony Chu with the help of other keen artistic doctors at Wollongong Hospital, who meet up monthly for the what we call Fry Day Drama (read more to find out). I am also very thankful for the clinical team of which I am part of at at the Wollongong hospital, for supporting me to get across to the university campus to deliver the talk during a busy – (Thanks Dr Venita Visvalingam, my supervising Consultant Physician and Dr Annie McKean our hard working Intern!). Thanks to Dr Nemeshi Fernando who was one of class who gave me some feedback (which I put on my You Tube channel) about the talk. It’s always wondeful to get nice feedback from the audience, and to know that your message is understood. But finally – Congratulations to the UOW 2015 class – Well done – You made it!! I have included the entire talk above, with some additional slides that include a few medical related poems that I once submitted to an Australasian College of Emergency Medicine (ACEM) conference. For they are the angels of the sea. 14-10-15 Another week, another rotation, and a week closer to the final exam of emergency medicine. I usually find starting a new rotation is stressful because at the beginning it’s hard to know all the ‘ins and outs’ of the job. This week was no exception, except I was blessed by being supported by some wonderful colleagues, especially my intern Kate who had such a positive outlook on medicine and life in general! After feeling so tired from the week just gone, spending extra hours studying for my emeregency medicine fellowship exam which I will sit in February 2016, I decided to catch up on sleep and skip the opportunity of a morning surf. 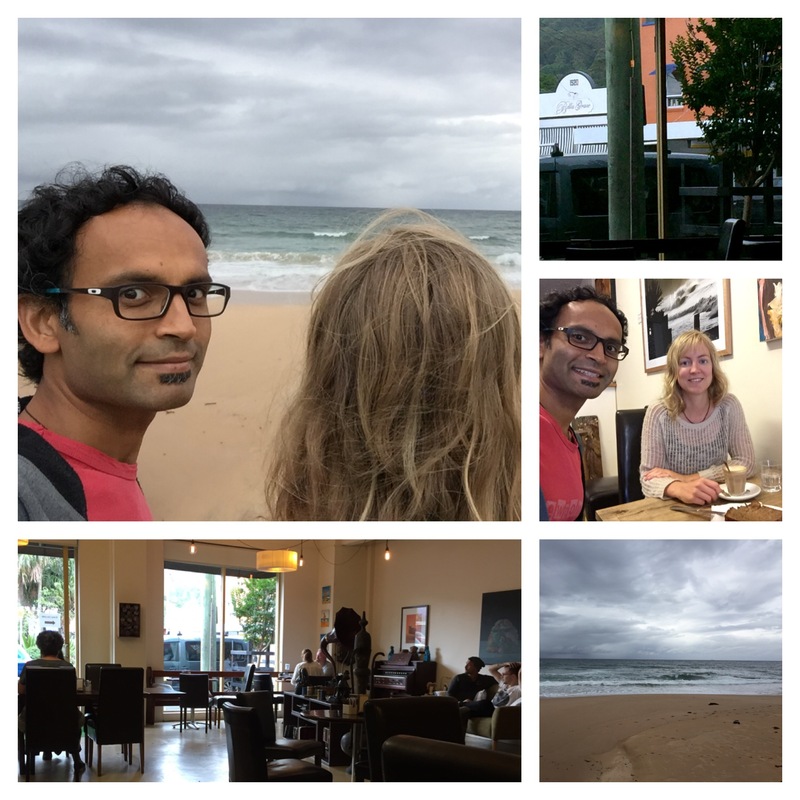 Instead, Sanna and I decided to go to our favourite café in Thirroul to have a coffee and do some study. However, before sitting I felt a strong calling to first go for a ‘nature break’. As far as my logical mind could reconcile, this venture was going to be a walk to the ocean, for the purpose of gaining some inspiration before going back to practicing exam questions. When walking down to the Thirroul beach I saw that familiar splash in the distant ocean that always makes me think “is that a whale?”. My knee-jerk reaction was to say to Sanna “Hey I think I just saw a whale! Did you see it?”. She usually discounts such suggestions because I forever seem to be saying, “hey I think I just saw a whale!?”. Sanna has grown to be slightly dismissive about these suggesions, but the great majority of times that I’ve suggested this it has turned out to be correct. I keep seeing them and they keep appearing in my life. Today was a case in point. When we got down to beach front, I went straight to edgy and we could clearly see at least two maginificent playful whales periodically jumping out of the water creating quite a splash. It was an amazing scene to encounter. No matter how far away, or close, one is to a whale in the wild, it is a magnificent thing to be around them. Interestingly the previous night I had a beautiful dream where I saw a humpback whale jumping out of the ocean in full breach. I had forgotten about this dream – but it seemed to have come true~! 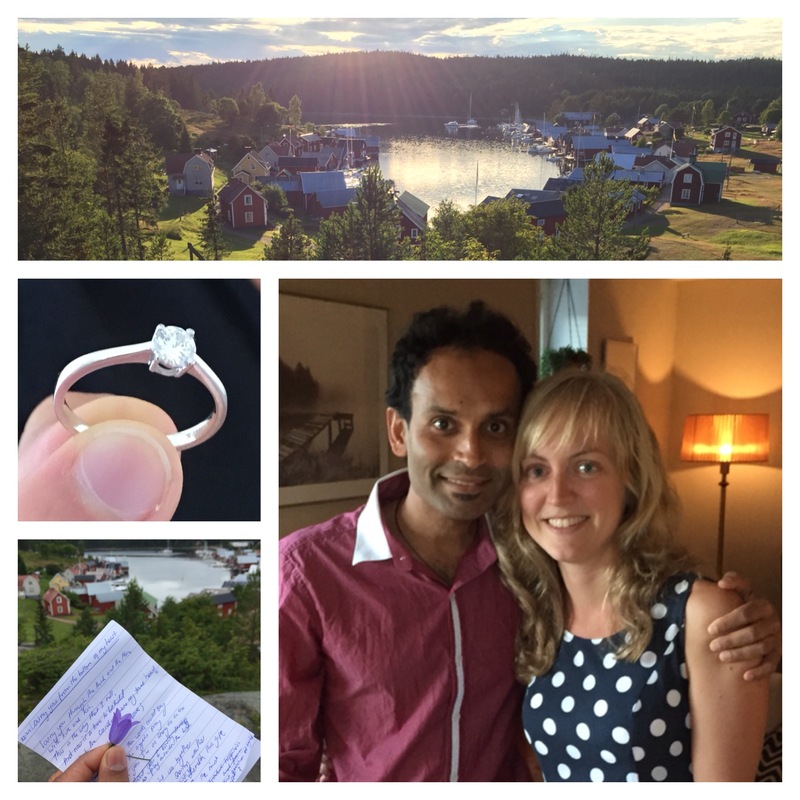 A Proposal and Engagement: with imagination, hope and love! In exchange for the hope of “imagination”. A few days ago I asked the woman that I love to marry me. She said yes and now we are engaged. We don’t even know what this fully entails. Apparently in Swedish culture, upon discussing this with some Sanna’s family here in Sweden, it is more traditional for both the bride and groom to exchange rings at the time of engagement, and it is only the bride who gets a wedding ring (Hang on a sec! That means we’ve done this backwards as I’ve just given a Sanna a ring, and I figured we would exchange rings at some point in the future when we get married?). The actually proposal was like magic, I had to keep it all secret as I figure I didn’t want to tell anyone. The perfect spot on top of the lookout at Trysunda island where Sanna visited regularly growing up, which was also one of my favourite places on the planet. But still there was so much doubt, with the ring in my backpack, the words in my head. My mind was riddled with a series of “what if” type questions, as it easily can be when taking important decisions about my life. These worries are all to do with the future and completely ignore the wisdom of the present. Lucky for me the skill of meditation and the craft of writing are two things that came to my rescue in a time of need. A short sit, and a little bit of journal time in the boathouse on Trysunda Island created the space to connect with my heart. It was clear to me in that moment that there really was no right time, So on this occasions, as with almost all the most significant decisions that I have made in my life, the answers have come from within, only if I dare to ask. On Facebook it looked like a fairytale proposal, and it really was looking back, but what is not shown on these made-over social communications channels like Facebook are ally the not so shiny bits. In addition to the normal fear and trepidation that had to first be overcome, which of course included the fear of her saying “no thanks”, the morning rain had set in. However, I was determined to go for a walk, rain or shine and share a morning moment with Sanna. For some reason in that moment the Angels were showering there blessings upon us and the rain cleared. The was just enough time to pass on a blue-bell flower, and read the romantic poem that I had written the night before, followed by a ring and my line in Swedish (quickly followed by the English translation to avoid any incorrect assumptions). Well let’s just say that she said “yes”, we were elated, and I was very relieved and, well, the rest is history as they say. It seems now, even after a few days that it was so the right thing to do, and all the doubts and fears seemed to quickly disappear into the Trysunda mist. It is with great gratitude and joy that I now look back on the wonderful week that we have both experienced in Sweden. However, now we have to drive to the airport and say goodbye to those we love and care about. Whilst I know we are not alone in this all too common problem where families are scattered around the country and globe – it still doesn’t make the separation any easier to take. When I reflect upon the trials and tribulations of even the most happy occasions in life, such as getting engaged – perhaps the real magic lies not in the sun streaming down from the skies when a ring is held out in front of the one you love, but in the ability to see “beyond the clouds” and focus on gold that is always looking at you straight in the eye. To all our family and friends who have sent such warm congratulatory wishes in phone calls, emails, and in notes on social media. Thank you from the bottom of our hearts. We don’t know much about when, where or how the wedding will be, but all will become clearer in the months to come. Let’s just say that we both strongly believe that “life is an adventure”, (albeit with plenty of ups and downs), so at some point in the future we really hope to be riding that wave called marriage! Lots of love from us both! If such a thing exists? Only waiting to be uncovered. 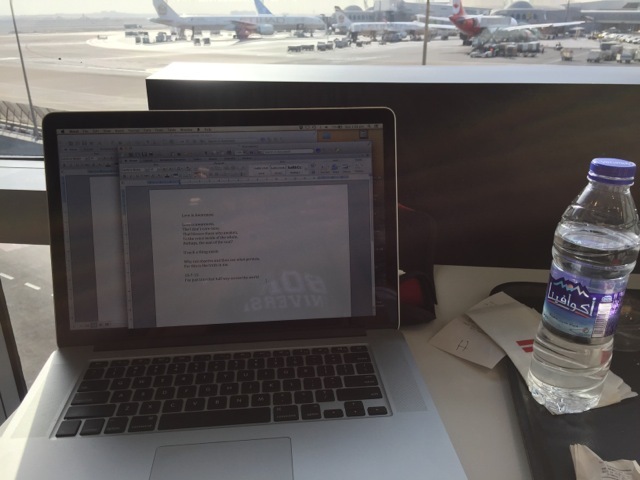 I’ve have just travelled in a plane from Sydney for 14 hours and right now am on a 3 hour stop-over in Abu Dhabi. So much has happened in the last 24-48 hours; finishing up my last shift at the emergency department to go on a much awaited 2 week break, graduating from a 9 year journey in research, followed by embarking half way across the world to be reunited with the woman I love. 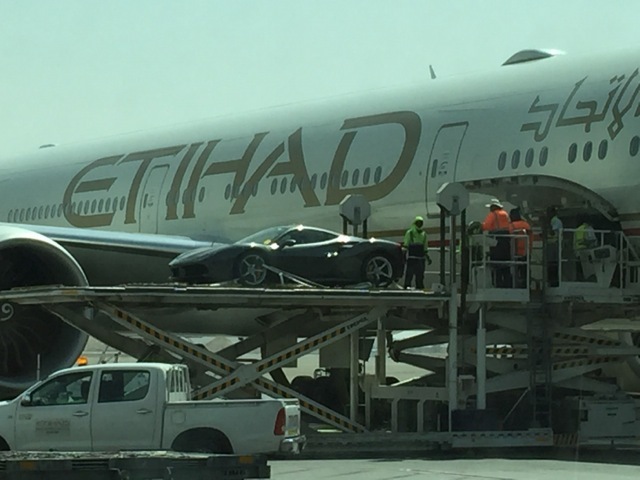 I have only been in Abu Dhabi for 1 hour but have noticed myself slowly slipping back into the mode of the “traveller mindset”. It is in this space that I have recieved much inspiration throughout my life. The most incredible things have happened to me whilst travelling. I used to think that actual “physical travel” was necessary to get to this state, that is, until I discovered surfing and meditation. I have realised that travel is as much a state of mind as a state of being and cirucmstance. For example, the fact that I am now “travelling”, is more than a “situation” that has arisen by working in a job, booking leave, and then jumping on a plane to travel to a specific overseas destination. What I’m experiencing, and viewing through my mind, even before arriving at my chosen destination in Sweden, is far more than the situation of arriving at the destination. The process, that I have grown to know and love has already started. Here in the airport transit lounge itself I have noted myself experiencing a state of total immersion in the essence of travel. I feel the sensation of arid heat upon my face as I look through the terminal glass out a the airbus’s and parked boeing aircrafts, standing on sunbaked tarmac, surrounded by a haze of dessert dust. I can hear the CNN, american accented, newscaster talking about reports of terrorist attacks from TV screen above and behind me, whilst sipping a latte that tastes quite different to what I am used to; perhaps it’s the different coffee bean, or the dairy product that is not quite the same? All these thoughts and sensations are in constant play, keeping me entertained and alive. In amongst all this I have again embraced the interesting social dynamic of travel, where I can easily engage with other random travellers about a number of things ranging from travelling tips, to the reflections about deeper aspects of life. Since jumping on the plane at Kingsford Smith International airport in Sydney last night, I have already met a gentleman in his 50’s on his way to Athens, who shared the wisdom of his life experience including the assertion that if one believes and focusses on anything it can be achieved, and the refelction that by far the the most important thing in this life is family. Then there was the lady traveller from returning from India to Brussels with a colourful clothes reflecting that cultures of subcontinent, and the young Russian lady who sat next to me whilst having coffee, reading “eat, pray, love”, just about to embark on a travel adventure that included Thailand and other neaby South East Asian countries. All these experiences perhaps occurred because my consciousness was not dulled by a circulating and never ending list of “tasks at hand”, something that seems to characterise modern urban living. Travel encapsulates the everything that is occuring, the body sensations, the sights, the sounds, the human interactions, all being noticed indiscriminately, with curiosity and sometimes with bewilderment and awe. To me it is this observational mindset, which I call the “travellers mindset”, that is at the heart of travel. I met a young doctor who used to work under me recently. I had just completed my night rounds in the hospital and I was leaving for home. Emergency medicine, and the loophole of love! I recently started a new rotation of Emergency Medicine training, and before long have found myself immersed in all it’s beauty and simultaneous horror. Our speciality is full of energy, love and frustration. There are good days and challenging days, magic moments and equally frustrating ones, often intertwined into the same 10 hour shift, if not the same hour. Most days are heavily mixed with both energies which makes it hard to have a frame of reference for an answer when someone from outside this world asks, “so how was your shift?”. For me, it is perhaps most truthful to answer this question with a guitar in hand. An example of this is provided with the the song titled “in the night drift”, that I have included at the end of this post. Often the pressures within a single shift are high, but when compounded within a persons training period, or across sections of their career span, it is understandable that a soul searching doubt can easily set in, to the point where the question of “why am I doing this again?” is asked. I am sure that this question gets asked by many in the field, perhaps with haunting frequency, regardless of whether one is a nurse, doctor or any of the multitude of other health “carers”. Whilst most would argue that “doctors and nurses” are at the core of health care provision, there is an array of other people, who occupy either named professions or unnamed roles. These people often contribute under the radar of recognition, but are making a huge difference in the field of emergency medicine everyday. The list, in no particular order, includes but is not limited to;- physiotherapists, radiographers, clerical staff, nurse aids, cleaners, porters, special care assistants, pharmacists, translators, administrators, radiographers, laboratory staff, parking attendants, building engineers, ambulance and police staff, public health workers, aged care workers, counsellors and social workers, and not least the patients themselves and their families. We are all one, interacting together, in the common milieu of a single shift on the emergency medicine shop floor (a term that is often used to encompass the Emergency Department by Emergency Physicians in Australasia). 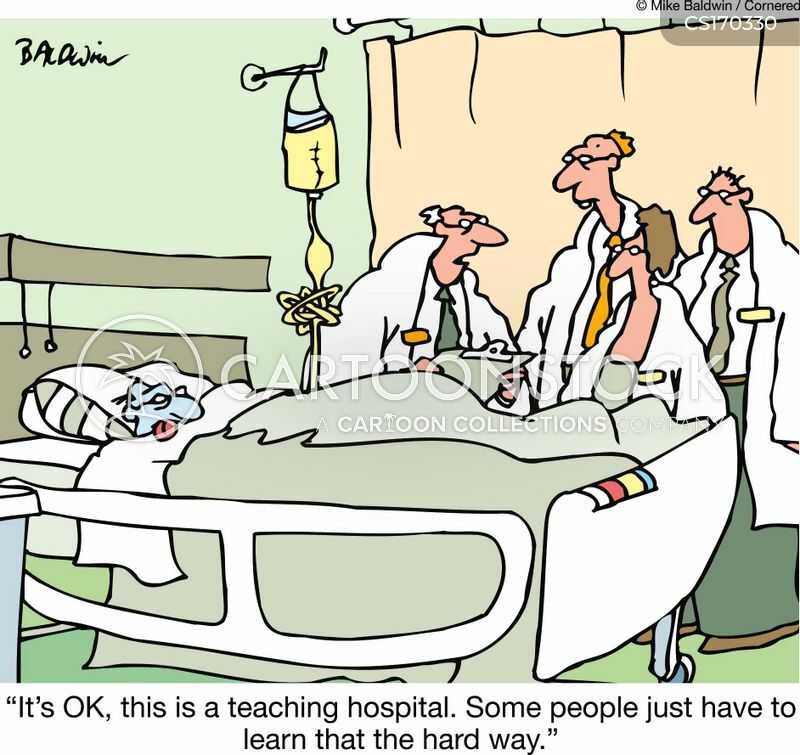 Why we practice emergency medicine? Regardless of whether one is a doctor or has one of the many other important roles in this arena, perhaps Mel Helbert puts forward one of the best expositions of why someone would consider undertaking a career in emergency medicine in his recent talk titled from the EM essentials conference titled “why we practice emergency medicine”. Mel, is the creator/founder of the EM Rap education channel, is a champion in emergency medicine education. When I use this term I mean it both literally, but I also mean to use it as a term from the field of “knowledge translation“, used to describe those who are proponents of change, in the evolving culture of crossing the “know-do” gap. Whilst everyone’s story is interesting in their own unique way, Mel seems to have captured with his unashamedly honest exposition something that reaches out and inspires his audience, no matter if you love it or hate it, are within or outside the profession, or are simply curious about why anyone would want to do this job. It was a really interesting 15 mins so I thought I’d share it here – thanks Mel!